Take advantage of LED technology! Westhold has excellent deals on a wide range of low maintenance, high brightness LED scoreboards that are wirelessly controlled using Race Manager software or standalone software. Scoreboards of varying sizes and layouts are available. Choose from horizontal and vertical layouts or ask about custom layouts. 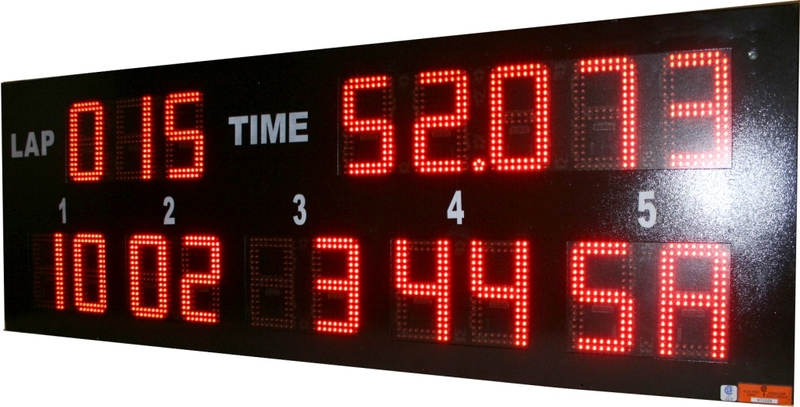 Scoreboards can be found with digit heights ranging from 6 to 48 inches in height. Red or yellow colored LEDs are available. Enclosures can be made in steel or aluminum. For each inch of digit height multiply by 40 feet to get approximate viewing distance. A 5" digit is viewable to approximately 200 feet. 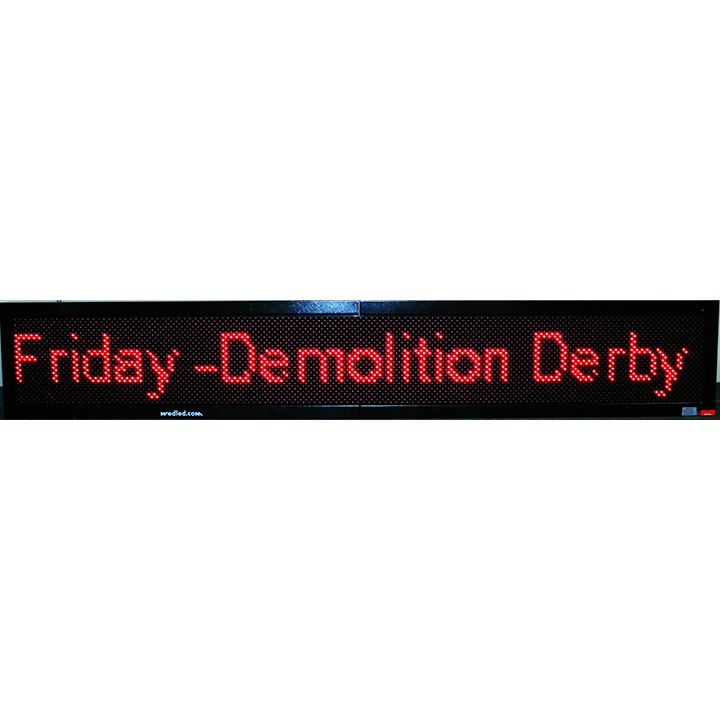 We offer a 10% discount on the entire order when a scoreboard is purchased with a system. Call us to find out about our suprisingly low prices! 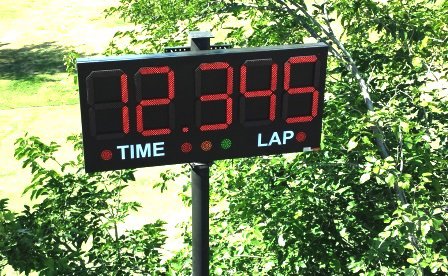 Check out our vertical offering with 24" digits capable of displaying laps and time. Each numeral consists of 7 segments. Individual segments can be replaced instead of entire digits. The Black Flag/DQ/Specialty signs consists of digits with digit heights up to 48 inches. These signs can be used alone or in multi-display settings to give drivers or fans additional information.